Many farmers and landowners are helping to conserve and enhance important habitats through environmental stewardship schemes. Large estates such as Goodwood, Cowdray, Petworth, Glynde, Arundel and Firle, with their designed parklands, have a significant effect on the landscape and the rural economy. 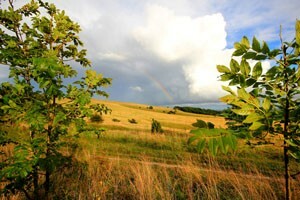 Large areas of the eastern downs are owned by local authorities or the National Trust. This is the legacy of early 20th century conservation movements to protect the iconic cliffs and downs and the water supply to coastal towns.